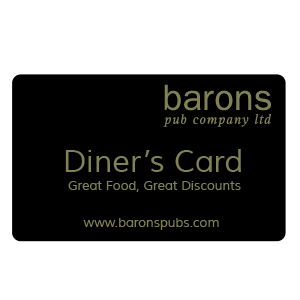 27051 people have already bought Barons Diner’s Card! Apply for a card now and start getting 33% off your food bill with early evening dining! Your Diner’s Card may take up to 28 days to arrive. 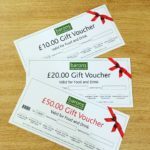 If you are still waiting for it by the time you’re planning to visit one of our pubs, please feel free to print off your order confirmation and bring it with you to receive 33% off your food bill.